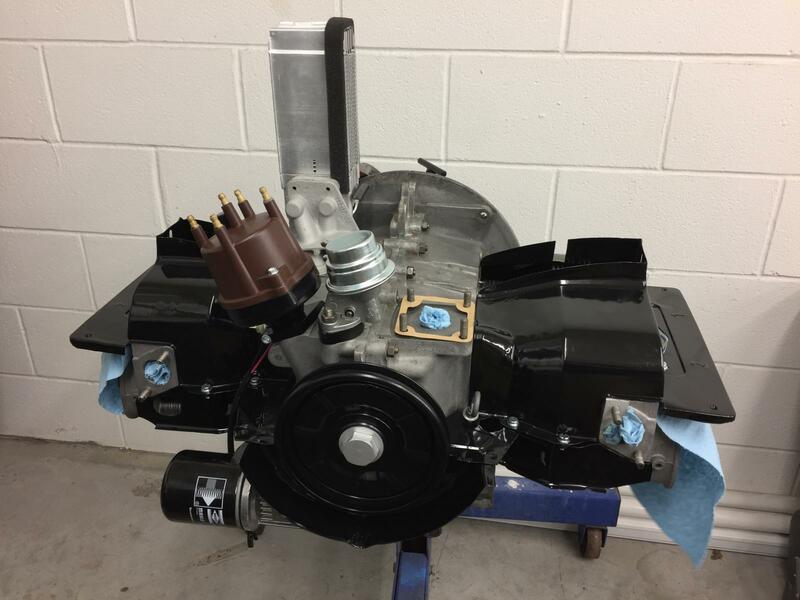 69x83 40hp build for my '63 Convertible. CB Performance 69mm chromoly crank, narrowed stock rods, clearanced AA 83mm P&C's, ported and shaved 1965 square rocker stand heads, 12 pound flywheel, .032" deck height, 9.6:1 compression ratio, detailed CB Performance Magnaspark II distributor, and doghouse cooling conversion with a heat-less Thing fan shroud. Carbs and exhaust tbd.